Whether you’ve inherited a record collection that’s not quite music to your ears, or you don’t have the space for stacks of LPs, we’d be happy to take your high-quality vinyl (with jackets) off your hands. We’d be happy to take a look at any LP or CD you’d like to sell. Bring them in to our downtown Victoria shop, and don’t forget to browse our selection while you’re here. If you find something you like, we can talk trade. “I was recently a tourist in Victoria and stumbled across this shop while visiting Fan Tan alley. What a pleasant surprise! At first glance I noticed the funky cool vibe of the shop. Although I only got to visit for a short time, I really enjoyed the collection of old vinyl for sale. The selection of used cassette tapes was charming. And the posters for sale were the best part. I left with a great poster that I had not seen for sale elsewhere. 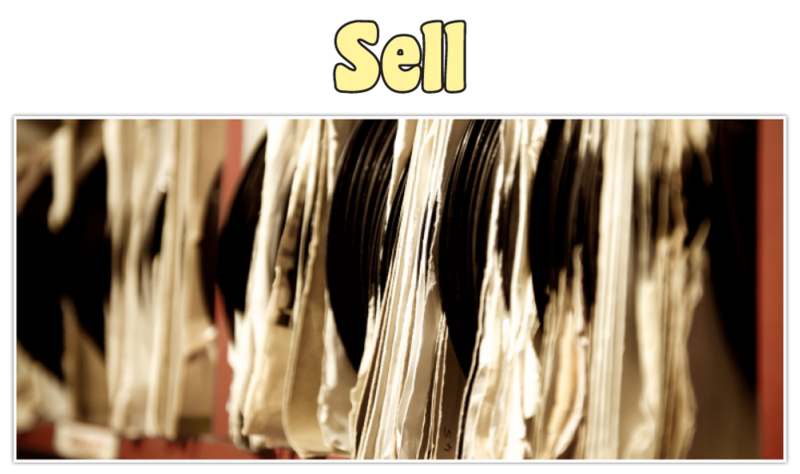 If you're a fan of recorded music and retro pop culture, this is a must-see shop.”—Mike K.